With E.B.A.H. nearing its release, Tech N9ne takes you on a twisted and complex tour of sound as he hears it with “Earregular”. The first official track from the EP, “Earregular” drops in with a hauntingly bizarre soundscape to accompany Tech’s ever-evolving flow as he effortlessly toys with words and delivery. 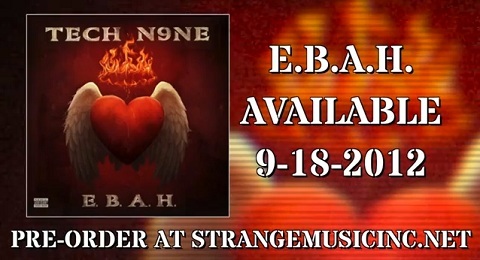 Just as the title suggests, there is nothing regular about this – even for Tech N9ne. What did you think of the new track?